Electricite de France (EDF) has recently shut down several of their nuclear reactors as a precautionary measure, to inspect components for possible defects or subsequent degradation. The issue originated during inspections at its new construction site at Flamanville. These inspections suggested that certain components might have left the forging facility at Le Creusot with flaws. This raised the concern that the problem might not be limited to Flamanville and that other plants could be affected, either through insufficient historical quality assurance or improved analytical techniques in recent times. Koeberg was French-built and therefore has access to additional detail and intellectual property from EDF and its main supplier, Areva. A structured process of sharing operational experience over two decades means that any problem that occurs at EDF automatically includes Koeberg in the understanding of common causes and the extent of the issue. 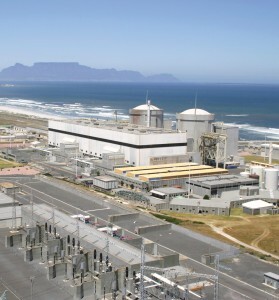 Eskom analysed its existing components as well as those currently being manufactured for upgrades or maintenance and says the Koeberg plant is not affected by the historical manufacturing anomalies which require additional inspections and verification. The post French nuclear industry concerns and Koeberg appeared first on EE Publishers.